Immunologists study the immune system to benefit human health, as a multitude of disorders, ranging from cancer to infectious, autoimmune and metabolic diseases, have an underlying basis rooted in immunity. While we have experienced important advances in immune-based therapies for many types of diseases in recent years, the complexity of human biology and the diversity that makes each of us unique poses outstanding challenges to translate basic knowledge into effective treatments. In addition, the technological advances and the advent of big data approaches also offer incredible opportunities to discover new biological principles that govern the functioning of the human immune system during homeostasis and disease. 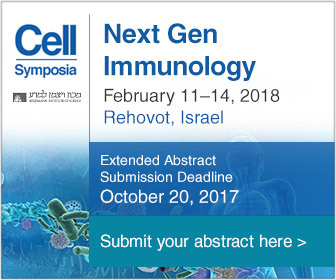 We are bringing together scientists at the forefront of this endeavor to examine and discuss a broad range of topics, extending from new approaches to map the immune system in individuals and populations to mechanisms that we learn from studying human disease and how to enlist immunity to fight cancer and infections. Our aim is to spur the progress of efforts to elucidate human immunity, which will in turn inform improvement in current vaccine design, disease treatments and maintenance of immune health. WARNING - SCAM ALERT: Exhibitor Housing Services (EHS) & Exhibitor Housing Management (EHM) Read more here!